Chris commenced his real estate career in Sydney back in 1971 as a sales agent in Paddington and Bondi and later returned home to Gunnedah in North West New South Wales to take over the family agricultural business. Chris then expanded this business to a diversified agricultural solutions provider. 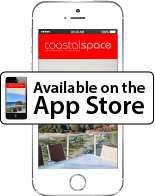 Chris and his wife Alexandra always had a passion for Coolangatta and purchased their first holiday apartment at Oaks Calypso Plaza on the beachfront. In August 2008 on the completion of Reflections Tower Two Chris purchased an apartment for investment purposes and family holidays. After settlement of the property Chris had a ‘brain wave’ and decided that it was time to leave the running of the agricultural business to his two sons, and that Coolangatta would be an idyllic place to live and work. Hence, the birth of Coastal Space and his wife’s adjoining lifestyle boutique. At the time, his daughter Maria was working in sales and marketing and decided to join her father Chris in the family business in 2013. After seven years, Chris has secured the future of Coastal Space by purchasing his premises at the entrance of Reflection Tower Two. Chris now enjoys the lifestyle of working and living on the beachfront of Coolangatta and has become an expert of selling beachfront property.